PINELLAS COUNTY, Fla. (WTVD) -- A teen accused of posting a Twitter threat against Heritage High School in Wake Forest was arrested in Florida Thursday afternoon. The teen has been charged with written threats to kill or do bodily injury by electronic communication. The threat occurred on Twitter late Tuesday night. Heritage High School was placed on lockdown Wednesday morning after the threat was discovered by school officials. The lockdown was lifted by 11 a.m. 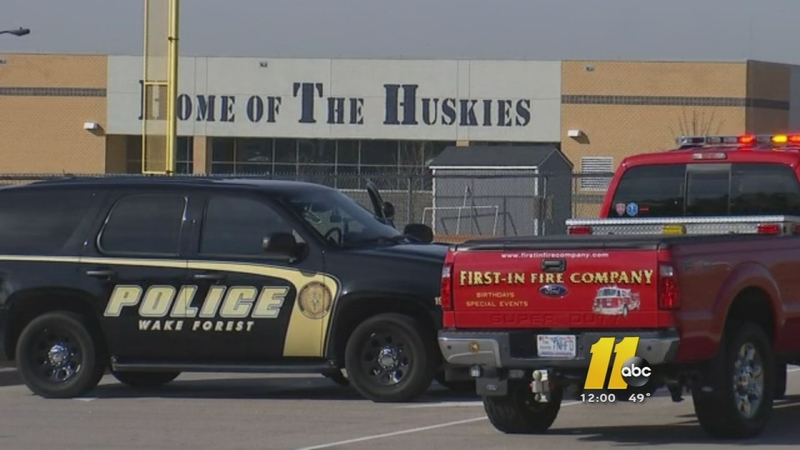 In the threat, the teen specifically stated, "I'm shooting up Heritage [expletive]." Deputies in Pinellas County said the teen told them that he thought it would be funny and did not believe anyone would take the threat seriously. The teen was arrested at his school, Palm Harbor University High School in Palm Harbor, Florida. ABC11 has learned the teen arrested is a former Heritage Middle School student, who left in 2013.